Suggest a DVD or Video to add to this page. Based on Motivational Interviewing, 3rd Edition, this two-part DVD set provides descriptions and demonstrations of the new four-process method of Motivational Interviewing, a person centered-clinical style for strengthening personal motivation and commitment to change among treatment participants. The DVDs are accompanied by downloadable resources containing a detailed menu with commentary, and annotated transcripts of all 14 interviews. Interactive lessons on the background, principles, and core skills of motivational interviewing. 12 clinical vignettes demonstrating motivational interviewing. Clinical analyses of each vignette. Vignette and interview with Dr. William Miller. In the first video of this highly acclaimed series,Core Concepts, expert MI trainer and practitioner Cathy Cole first introduces the foundational principles; then numerous demonstrations and exercises, including actual session excerpts with Bill Miller, will allow you to practice MI techniques. Each subsequent video focuses on demonstrating, through a series of vignettes, various MI strategies applied to different stages of change. CD providing individual learners and trainers with a multi-layered learning environment. At its core is a 50-minute digital audio recording and transcript of a real-life interview - a demonstration of highly skilful practice - between a community psychiatric nurse and a patient with an alcohol problem. 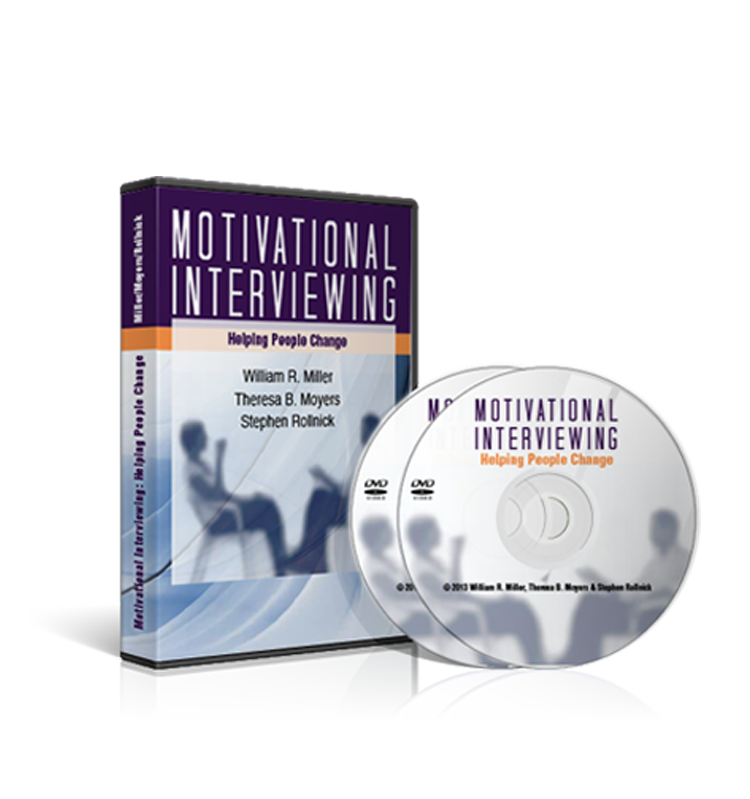 We made these recordings primarily to use on our own Motivational Interviewing courses. We have been training on this topic for 20 years and wanted some demonstration material that was relevant to the work lives of our course participants in England and that would provoke discussion and understanding of motivational interviewing principles. Featuring William R. Miller, Ph.D. In Drug and Alcohol Abuse, Dr. William Miller demonstrates his approach to treating clients with problems involving substance abuse. Drug and alcohol abuse are a common presenting problem in therapy, second only to depression, so it benefits therapists to have an approach ready for this issue. This series of two DVDs, produced at the University of New Mexico, is intended to be used as a resource in professional training, offering six hours of clear explanation and practical modeling of component skills. Because it is helpful to see how a method is practiced in various contexts, the tapes include clinical demonstrations of the skills of motivational interviewing, showing ten different therapists working with 12 clients who bring a variety of problems. In Assessing Alcohol Problems Using Motivational Interviewing, Dr. Linda Sobell demonstrates cognitive–behavioral motivational interviewing techniques for assessing a patient's alcohol use, and then she and Dr. Mark Sobell discuss this useful approach for working with individuals with substance use disorders. 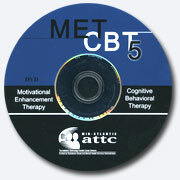 This DVD contains nearly four hours of video vignettes illustrating concepts from the MET-CBT-5 manual developed as part of the Cannabis Youth Treatment project. Therapists are shown demonstrating techniques from the MET-CBT-5 sessions with actors portraying adolescent clients. This presentation is an extended interview with Dr. William Miller regarding the utilization of motivational interviewing (MI) in correctional settings. Topics discussed include: background of MI; MI in corrections; how MI works; the spirit of MI; implementing MI; MI applications; MI in assessment; brief and one-time MI; essentials of MI; MI roll-out; MI training; supervisor’s role; MI research; implications for policy makers; and implications for supervisors and MI coaches. This 4-set DVD captures the highlights of an introductory 3-day MI training facilitated by Steven Malcolm Berg-Smith in December 2008. The DVD is intended to be used as a resource for MI trainers to closely observe a training in action, and in the process, gather new ideas for guiding the learning of MI in a group format. This Resources page is used to disseminate information regarding motivational interviewing and promote proficiency in the use of motivational interviewing. MINT is providing the resources on this page as a benefit and service in furtherance of MINT’s mission and its nonprofit and tax- exempt status. MINT does not receive any proceeds from the sale of any materials posted to or linked from this page, and MINT makes no representations about the content or information expressed in such materials, or to any information on any other site linked from this page.